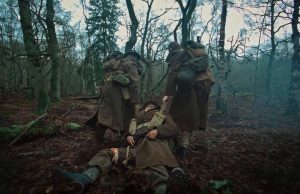 Three British soldiers, one horribly injured, come across a wounded German, still attached to the silk parachute which is splayed out across a tree trunk lying on the forest floor. The German he utters remains mostly un-translated. He can speak English though, and for a few minutes they’re all still trying to win a minor battle of wits with each other, a tiny proxy war for the huge worldwide conflict for which they’re all just fodder. The German has a scrap of paper with a code written on it, which becomes a sort of talisman – a baton to be relayed from soldier to soldier, to get someone home who represents them all. Patrick Ryder’s latest short film is set in a wood in France, just prior to the evacuation of Dunkirk in 1940. It’s loosely based on the true story of the Royal Essex Regiment, and its remaining soldiers’ attempts to get home. Though the film has its own drama, beyond the everyday deaths and injuries as scattered soldiers fight to escape, no longer following any coherent plan: that German spy, parachuted in, and his unexpected handler. 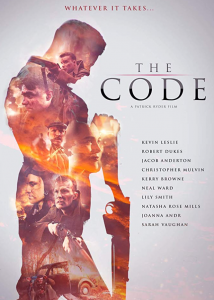 Ryder has made The Code with a small cast (a cast he utilises very well) but he still manages to shine a light on the brutality of war, and its instant life or death decisions; ideas that can seem unjustly hackneyed now after decades of exploitative movies about wartime glory and battlefield disasters. Eddie (Jacob Anderton) and Will (Kevin Leslie) are northern brothers, but somehow they and their friend Tommy (an icily intense Robert Dukes) have become separated from their regiment. Eddie is badly wounded, but Will and Tommy continue to drag him through the woods, the sounds of gunfire getting nearer. The Code has a great sense of time and place. 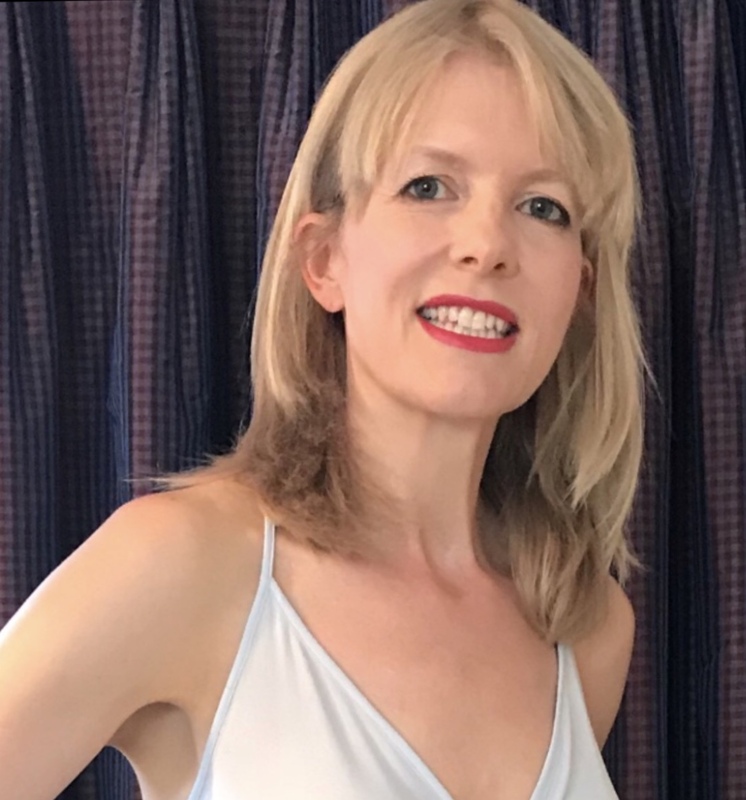 I’m not an expert on the 1940s (though after recent films Churchill and Darkest Hour, and the proliferation of stories about nice gels with clattering typewriters, I feel like I am) but the detail to my eye looks particularly good. The church hall dance scene includes women dancing with women, as so many men have left for the war. Their “for best” outfits are everyday, the kind of dress you’d buy with saved up clothing coupons. Ryder has also avoided creating scenes which require more extras than he has (underfilled background is understandably a common issue with low budget movie-making). And I suppose there’s a lot to be said for setting a low-budget film during times of rationing, when so much was genuinely homemade. It all serves to make this a film you can trust, without worrying that you’ll be dragged jarringly back to the present by some modern-day anachronism. Characterisation is deft, as it has to be in a film of under 20 minutes. Emotions are iron-cold rather than red hot: Tommy is phlegmatic and icily pragmatic. Kevin Leslie’s performance as Will illuminates a man temporarily driven by rage but still calculated and clear-sighted about their aims. People die, realistically. The deaths look sudden and instant, the shooting by now almost instinctive for these young men who should be back home working in offices and butchers’ shops. There are small explosions and lots of gun-loading. But for the temporary bombardments of staccato gunfire, the aged woods are calmly unchanging. It’s a truism that war is mostly boredom, interspersed with brief interludes of frenzied aggression. By contrast Ryder’s war film is engrossing from first to last, though he certainly conveys that enervating sense of the pointlessness of war, its effects endlessly repeated on young men down the ages. Men who’d in other circumstances be friends, foes or simply indifferent to each other for boringly mundane reasons, not because of politicians and dictators.